Clam gardens are the focus of a range of ecological, cultural and social questions, which we are trying to answer using varied techniques. The ecologists in our team are comparing the productivity of today’s clam gardens to unwalled beaches by transplanting tagged clams and measuring their growth rates, counting and measuring the number of clams in the beaches, and measuring the effects of water flow and temperature on the survival of larval and baby clams. They also measure if the alkaline (low acid) conditions of the shell-rich sediments help clams survive, which is of particular importance today as our oceans are becoming increasingly acidic. Network archaeologists are mapping clam gardens to understand their form and location in relation to sea level (tidal height), and where they are located in relation to ancient settlements or other archaeological sites. Total station map of a clam garden. Map: Sue Formosa. They are also digging in the clam garden terraces and walls to understand how these features were built and how old they are. To determine how productive clams were in the past, the team is digging in both the clam gardens and in the ancient shell middens associated with the nearby settlements to measure historical numbers and growth rates of clams. 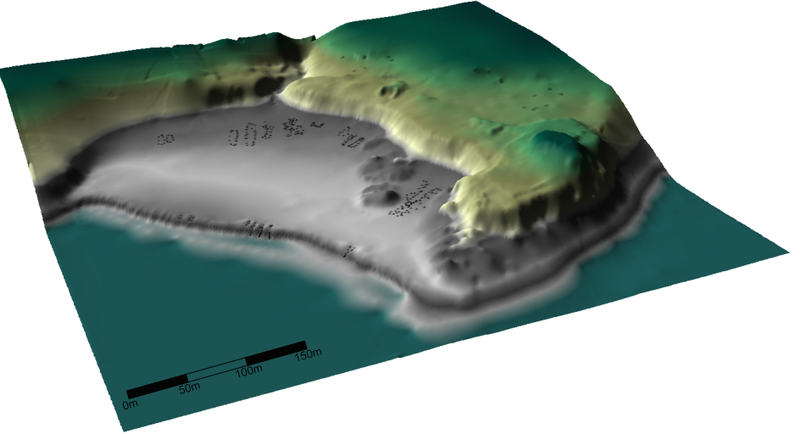 Geologists are gathering data on how sea levels have changed over thousands of years and mapping the clam gardens by boat using a technique called ‘near shore swath bathymetry’ which allows us to see features on the seafloor. It is possible that there are ancient clam gardens underwater that no longer see the light of day, particularly in places like the southern Gulf Islands where sea level has been rising steadily for the last 10,000 years. These scientific studies are informed by teachings about clam harvesting and intertidal resource management from First Nations’ knowledge holders. Together, we are working towards an holistic understanding of clam gardens. Visit our Research page to learn more!